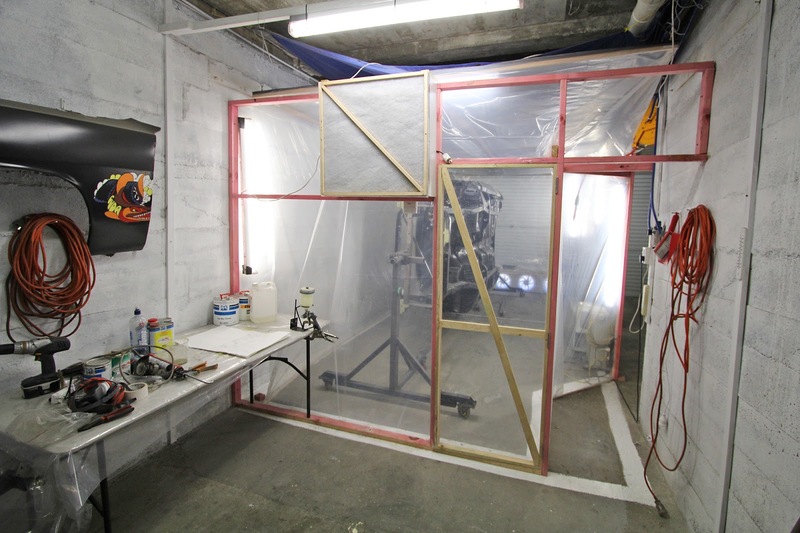 Here's the spray booth I've made to keep fumes and dust out of the house, and also to ensure a dry and warm environment for prepping and painting the body. The plastic sheet booth is sealed all around and has 4000cfm of filtered intake and exhaust ventilation. Works great! It's nice and warm and dry in there. 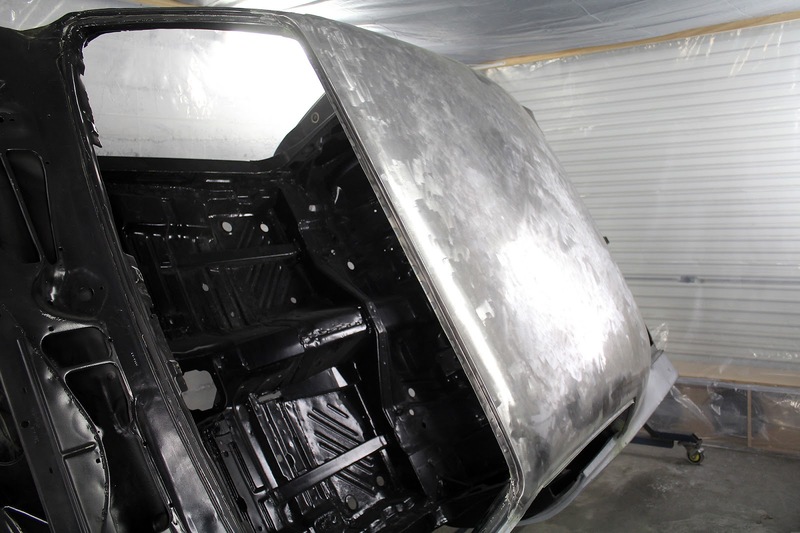 I've been stripping and priming the new body panels as there was quite a few tendrils of rust under the factory e-coating, mainly on the roof but a little on the quarters too. 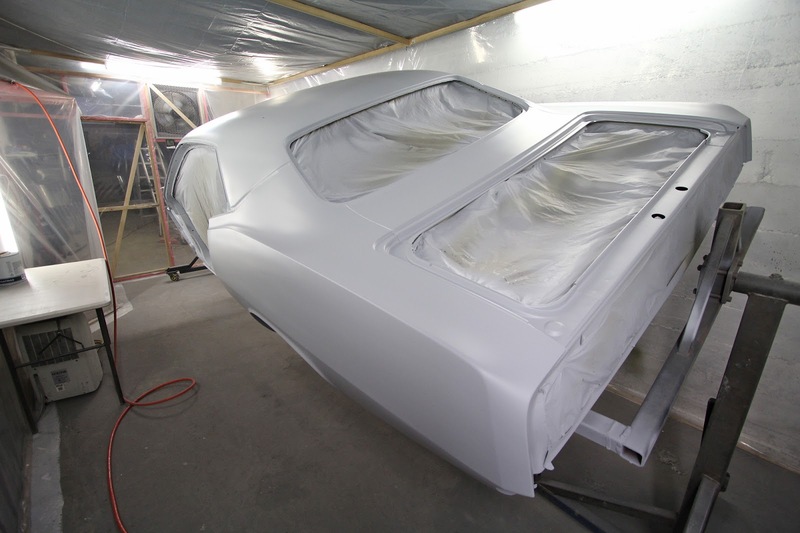 Not ideal as the e-coat is advertised as a solid basis for paint. 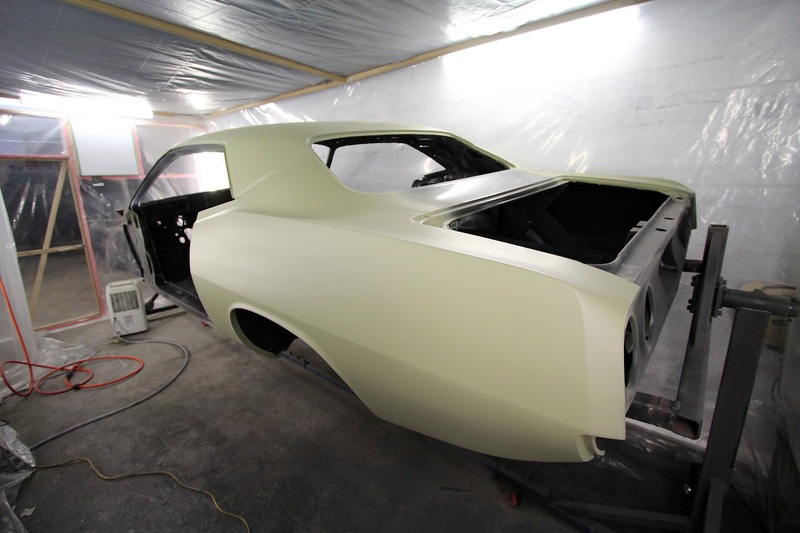 So I stripped and deoxydine treated the panels and sprayed them with PPG expoxy urethane primer to ensure a long life to the body and paint. Clean! 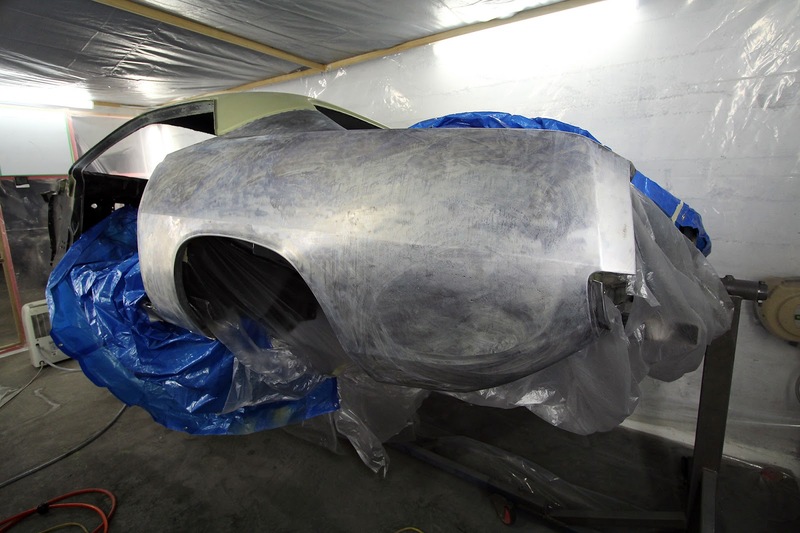 Next up is filling the seams between the new panels, then painting the whole body and getting the thing off the rotisserie for the last time. Can't wait!